Great post, Kevin! That Lack of Will sounds wonderful. I visited Sun this past January based on Murray's recommendation. I'm grateful he did. 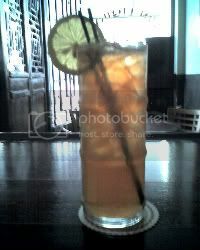 I did do a non-cool name-your-complicated drink (Navy Grog), but the Grapefruit looked So damn good I couldn't resist. That looks tasty! The straight black tea here should mate well with the sugary notes in the rum. 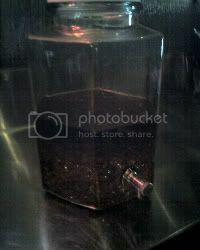 I've played with infusing vodka with earl grey tea before to good result. It is a quick steep. This sounds fantastic. I've done tea-infused sweet vermouth, which can be used to make a great Manhattan. BTW, love the blog name. A beer in the shower is one of life's simple, wonderful pleasures.